# ERROR: Job is aborted because the external storage device is not available! Delete any backup schedules mapped to the particular USB drive and recreate them. Please note that if you have more than one schedule mapped to that particular drive ID you will need to delete them all. Failure to delete all the schedules mapped to the particular drive may not resolve the problem. 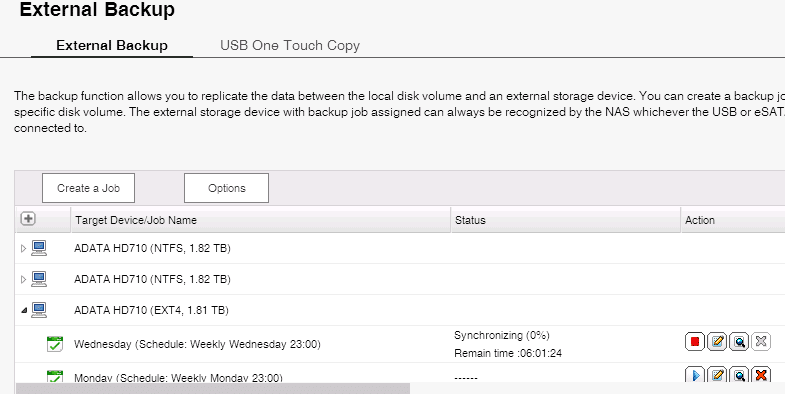 In the example above there were two backup schedules mapped to this particular drive – Monday and Wednesday, both needed to be deleted before the backup started working again. Recreate the backup schedules and try running the backup again.